As the winter winds down and the official start of spring arrives (i.e. this week), you’ll probably not give much thought to your furnace. The weather is going to warm up gradually on the climb toward the summer heat. Checking the Furnace Flue: It Could Be a Lifesaver! Safety is a vital part of all the jobs we do for our customers. When we fix a natural gas furnace in a house, we don’t just ensure that it will come on, provide heat, and operate at energy-saving levels. We also make sure it runs as safely as possible. 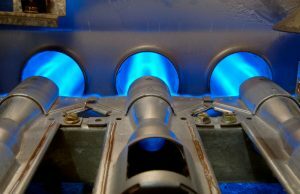 Although gas furnaces are built with the same priority on safety that we use in our work, it is possible for the combustion byproducts from the furnace—which include carbon monoxide, nitrogen dioxide, and sulfur dioxide—to accidentally enter living spaces. These are toxic gases and create many serious, life-threatening health hazards. You’re probably aware of what high concentrations of these gases do. But the safety concerns aren’t only about a large amount of combustion byproducts flooding into a home. There’s also the risk of chronic exposure to low levels. The symptoms aren’t as obvious, but over the long-term can be just as dangerous, especially to infants and the elderly. The main reason for the low-level presence of combustion byproducts is a furnace that is venting poorly. 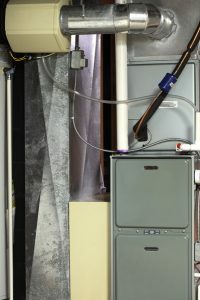 Posted in Heating | Comments Off on Checking the Furnace Flue: It Could Be a Lifesaver! It’s October and people are already planning Halloween parties and costumes. And, if they want to be prepared for the change in the weather, they should also be planning for maintenance for their heating systems. 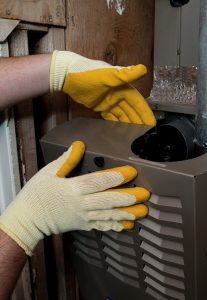 In our last post we put up a friendly reminder for homeowners who have heat pumps that they must have a fall maintenance visit as well as a spring one. Today, we’re going to look at the most common type of home heating system, the furnace, and why scheduling a fall furnace tune-up in Shreveport, LA is vital. You definitely want this job done before the cold weather arrives, and that can sometimes strike before the official start of winter. When you sign up for our Proactive Service Agreement, you’ll receive a 16-point inspection on your furnace—and the same for your air conditioner in the spring. © 2015–2019 Hall's Heating, Air Conditioning & Refrigeration. All rights reserved.